Coloring artist Thaneeya McArdle is all about good vibes. In her newest coloring book Think Happy! Coloring Book—her largest collection yet—she has loaded over 200 pages with whimsical designs and positive affirmations. “Everything is possible!” she says. “It’s all a matter of defining your goals, figuring out what steps you need to take to reach those goals, and then actually doing it.” Her happy vibes have rubbed off on her coloring books, and perhaps that is what makes them so attractive. 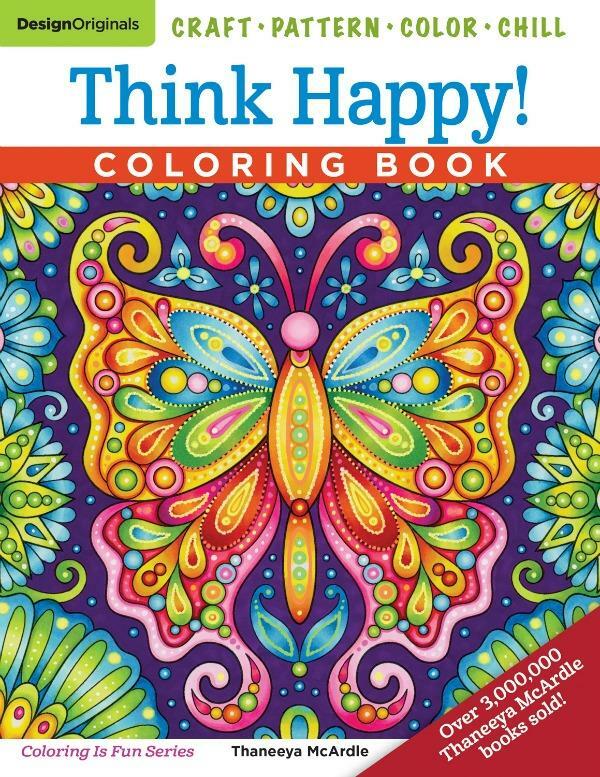 Think Happy is truly an amazing coloring book! Not only does it have pages to color, it also has uplifting quotes and a space under each for you to write your own thoughts. We’re all so busy, and we forget to take the time to relax and reflect. This coloring book can help! You will also find tips on color theory, color matching, shading and blending. I love it and highly recommend Think Happy! 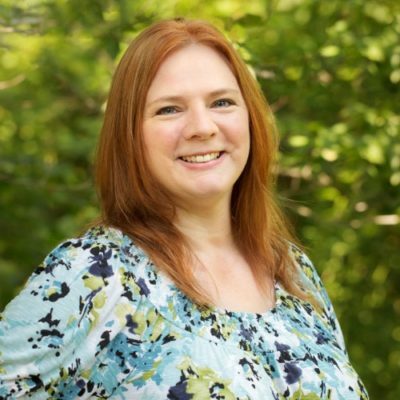 Thaneeya McArdle has created numerous coloring books with Fox Chapel Publishing and has sold more than three-million copies. It could be her optimistic and carefree attitude reflected in her illustrations that has contributed to her success. In 2013, she gave up her possessions to become a full-time nomad. She traveled the country and abroad, all while maintaining her coloring book career. After exploring the world, she came home with a fresh and positive attitude on life. Reading on my back porch, and watching all the animals with a cold drink or a cup of coffee. Mine is to lay out on the hammock. Sitting on my porch watching the dogs play. I have been taking care of the garden still and started canning all the vegetables yesterday. I enjoy reading on the back porch during the summer. I enjoy going to the beach. We walk on the boardwalk or bring chairs and watch the waves. Playing in the pool or going to a water park – pretty much anything to do with water. My favorite way to enjoy the lazy days of summer is to stay inside with the air conditioner on. I enjoy relaxing with a good book on my back patio!! We like to go camping in the Summer, to the mountains or anywhere cooler! I love sitting on my front porch with a cold glass of lemonade and read one of my books. Reading a book in a cool place outside in the shady. I love to read in the sunshine. I love to drink a cip of coffee and read good book. When it’s not too hot, I like to sit out on my balcony & read. I love to lay in the sun and read a book. Enjoy a good book on the patio in the evening. We have such hot and humid summers that I prefer to stay inside and read. I like to sit by the water. You can watch all sorts of activities going on. There are boaters, jet skis, water tubers, water skiing, etc. Also, the water has such a calming effect. I like to color and read books. Listening to music and reading. Reading on my front porch. Thanks for the chance to win. I love sitting on the back porch, in the evening reading. I love being outside reading a book in the shade! I read it’s my favorite thing to do.